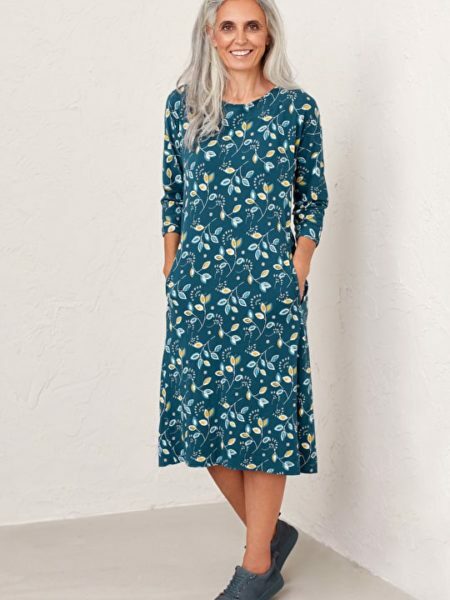 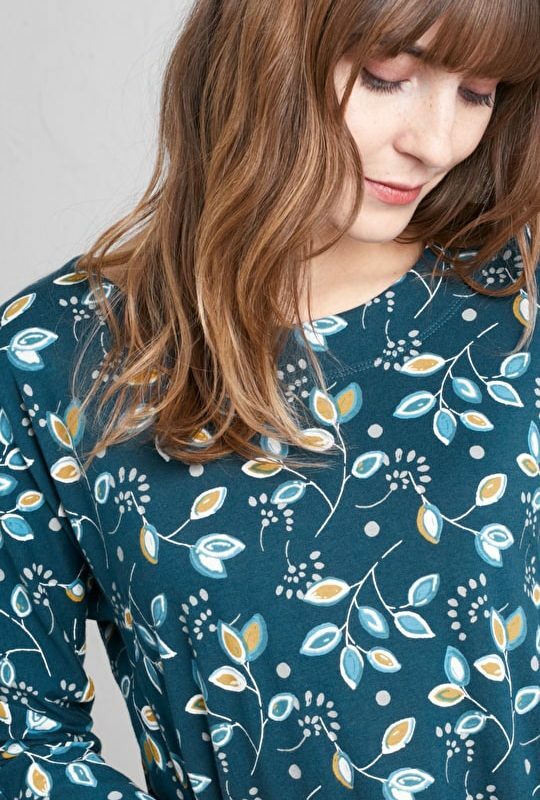 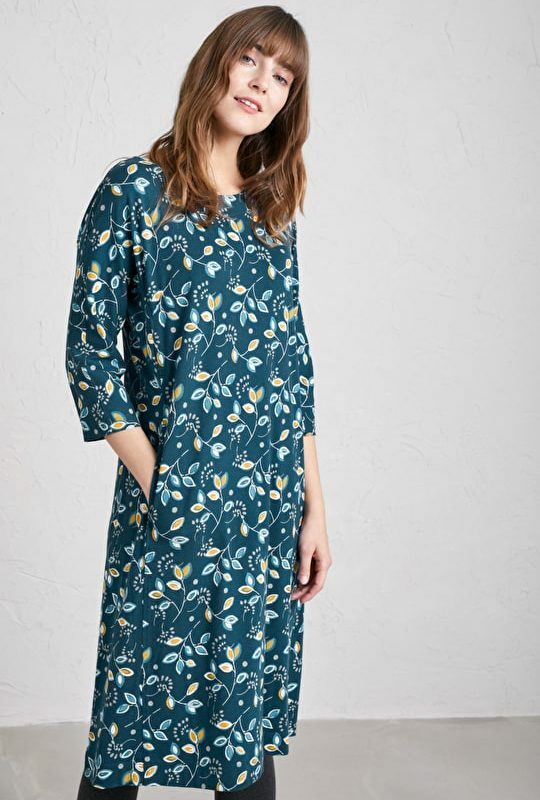 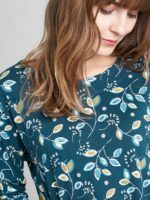 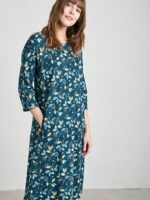 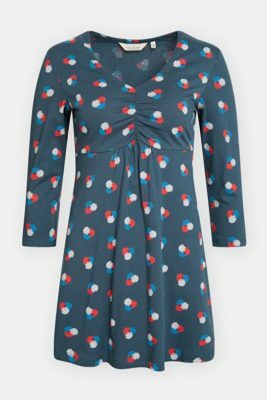 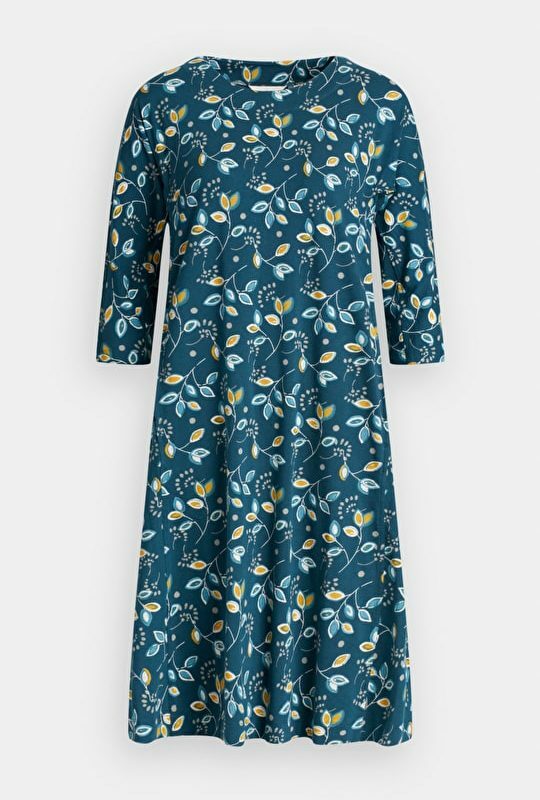 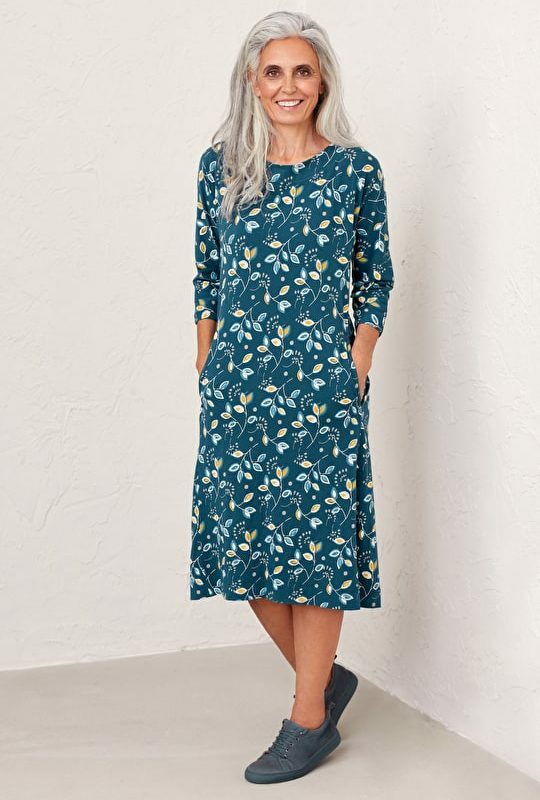 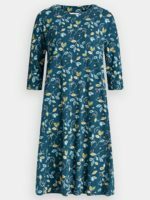 Made from soft cotton jersey with a touch of stretch, this A-line swing dress has plenty of movement and drape, so it’s beautifully comfortable and easy to wear. 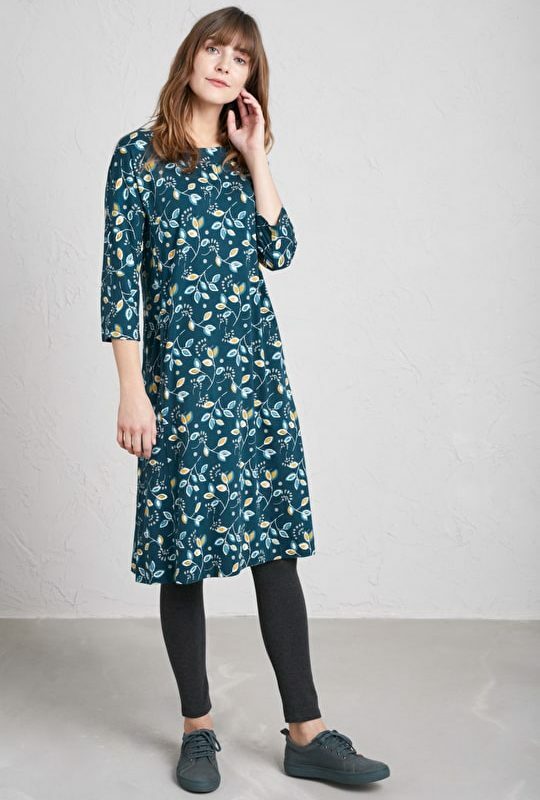 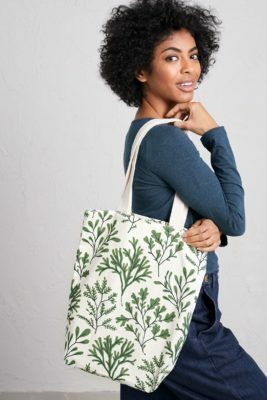 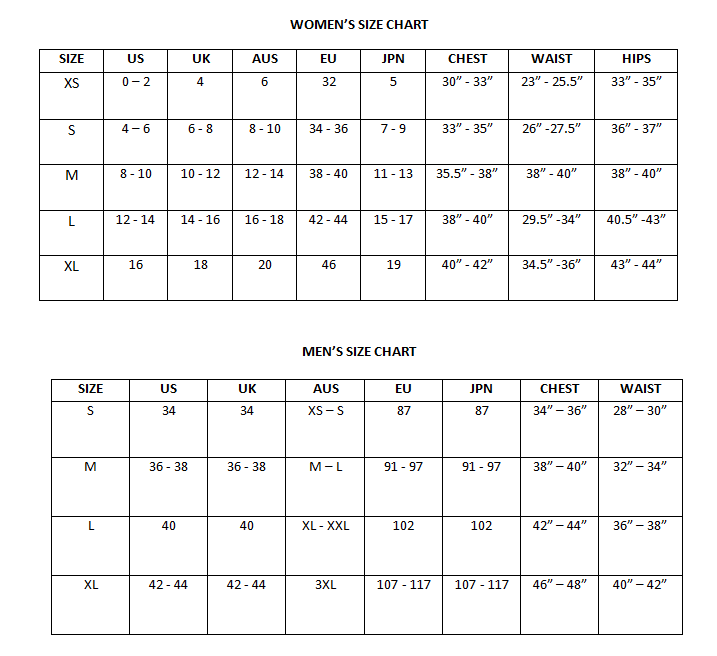 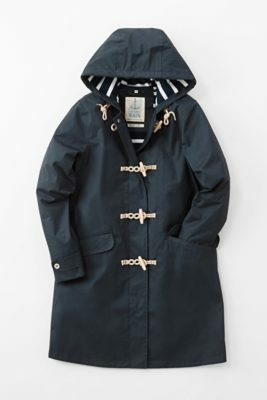 Falling below the knee, it has a boat neck, grown-on 3/4 sleeves and two in-seam pockets. 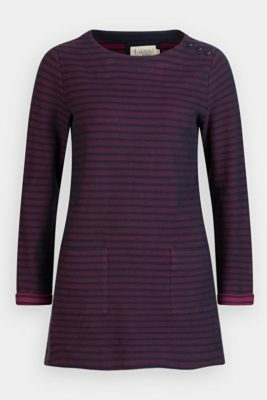 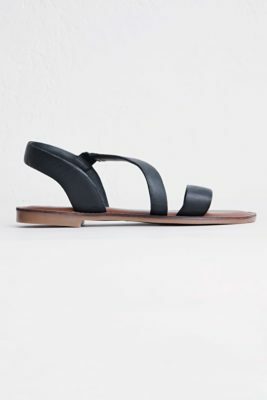 This easy-fitting style is perfect layered over leggings or jeggings.